A Kenyan police officer says 15 bodies have been taken to the morgue after an attack on a luxury hotel complex in Nairobi claimed by the al-Shabab extremist group. The officer spoke on condition of anonymity because he was not authorized to speak to reporters. “I have also spoken to my brother just now and we are exchanging text messages,” says a woman who gives her name only as Nelly. “He is in there and he has told me they are hiding with over 10 other people.” She says he works in a building next to the hotel. “Why is the government saying they have rescued them?” she asks. Gunfire has been heard since Kenya’s interior minister announced the scene had been secured. 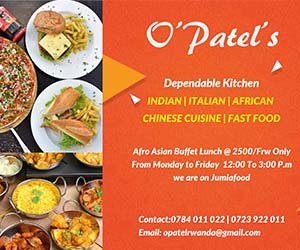 The gunfire came little over an hour after Kenya’s interior minister said all of the buildings affected by the attack had been secured and that security forces were in the final stages of mopping up the scene. Somalia’s government is expressing its “strong condemnation” of the deadly attack on an upscale hotel complex in Kenya’s capital. The Somalia-based al-Shabab extremist group has claimed responsibility for the attack. Somalia’s foreign ministry in a statement says the attack by at least four gunmen “once again reveals the hideous face of terrorism.” The statement expresses its solidarity with those affected. Kenya’s Citizen TV is airing what it calls surveillance footage that shows at least four attackers as they storm an upscale hotel complex in Nairobi. Kenya’s interior minister says all of the buildings affected by an extremist attack on a hotel complex in Nairobi have been secured and that security forces are in the final stages of mopping up the scene. A State Department spokesperson says the United States condemns the “senseless act of violence” at an upscale hotel in Kenya’s capital. Enoch Kibet, who works as a cleaner there, says: “We were changing our shifts and that is when I heard a loud blast and people were screaming.” She crawled out of a gate in the basement. “We do ourselves a favor, we clear what we can see,” one officer says as they approach what appears to be a shattered entrance. Kenya’s national police chief says the coordinated attack on a Nairobi hotel began with an explosion that targeted three vehicles outside a bank while a suicide bomber blew up in the hotel lobby. He says the operation against the attackers is “still ongoing” and various offices have been secured. A witness to the attack on an upscale hotel complex in Kenya’s capital says he saw five bodies. Kenya’s national police chief says they are aware some attackers could still be inside an upscale Nairobi complex and that special forces are trying to flush them out. The attack on an upscale hotel complex in Kenya’s capital comes a day after a magistrate’s court ruled that three men must stand trial on charges they were involved in a deadly attack on a Nairobi shopping mall in 2013. The magistrate said Monday he was satisfied with prosecutors’ evidence linking the three suspects to the days-long siege of Westgate Mall in which 67 people were killed. A fourth suspect was freed for lack of evidence. Police say they have detonated a car they said had explosives inside. The blast sent people at the scene of an attack on an upscale complex in Nairobi’s capital ducking and screaming. A witness says he saw at least two bodies at the scene of an attack on an upscale hotel complex in Kenya’s capital. An armored vehicle has arrived at the ongoing attack on the DusitD2 hotel complex in Nairobi’s Westlands suburb on Riverside Drive. Police and army are at the scene. Plainclothes police are going from shop to shop to clear out trapped civilians who are running away from the complex. 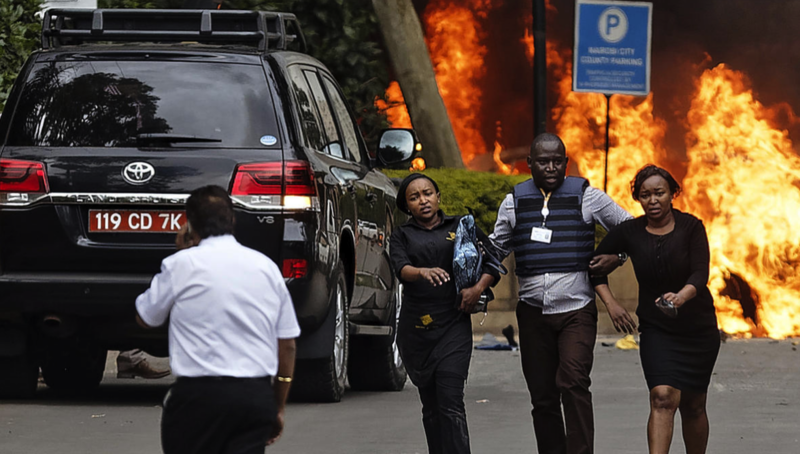 An upscale hotel complex in Kenya’s capital is under attack, with a blast and heavy gunfire. Witnesses and police at the scene are calling it a terror attack.